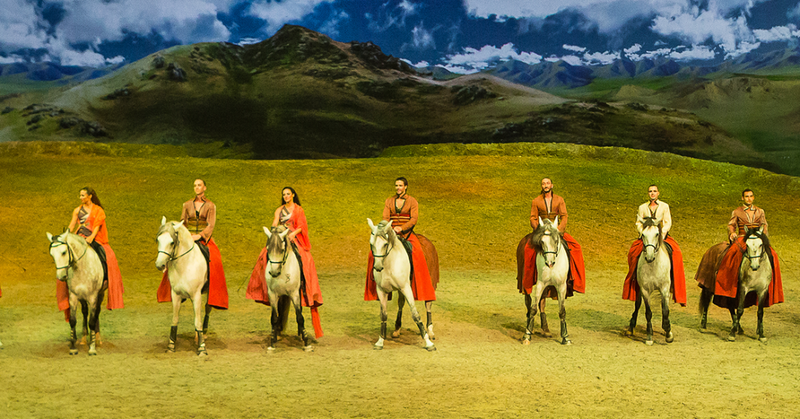 If you’re looking for an evening that has you on the edge of your seat in awe of the talent and beauty, then Cavalia Odysseo is a show for you! It is the beauty and harmony of this ancient relationship, this meeting of two worlds – those of horse and man. 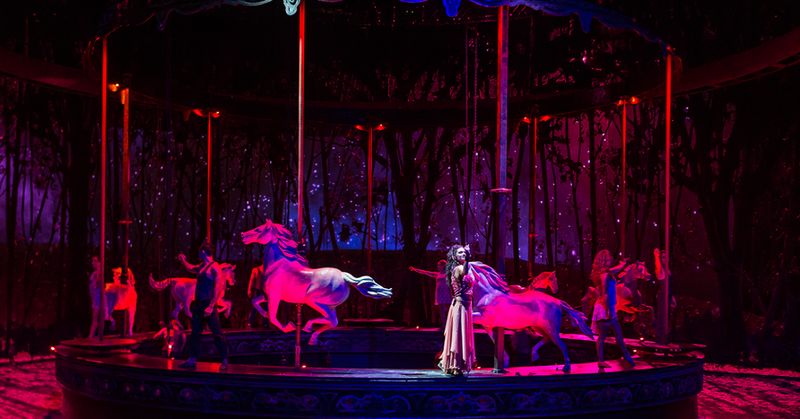 Odysseo marries the equestrian arts, stage arts and high-tech theatrical effects at never-before-seen levels. With the tickets selling out quicker than expected, they’ve thankfully added additional shows just to meet the high demand. 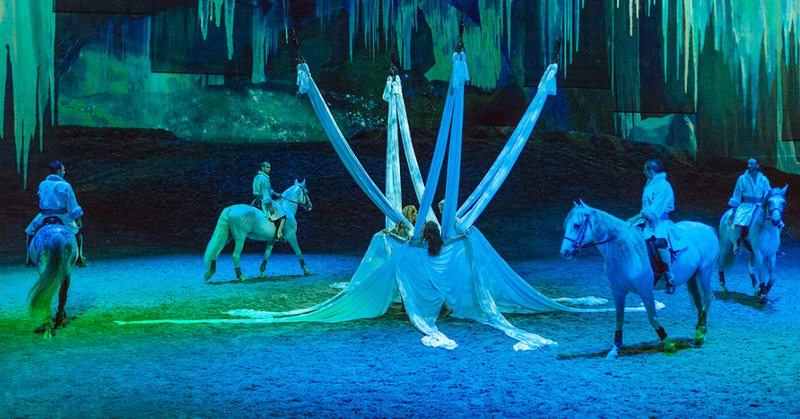 Cavalia: Odysseo has been extended to March 5th, so there’s still time to grab your tickets and experience this amazing, one of a kind show for yourself. I’ve always had a great respect for horses, the gentle strength, powerful strides and calm demeanor make them truly a majestical animal. Miss Zoe has an obsession with horses for a year now and after seeing this show, I’m right with her asking Daddy for a pony! He said no..many times but I’m still trying and hey, can you blame me? 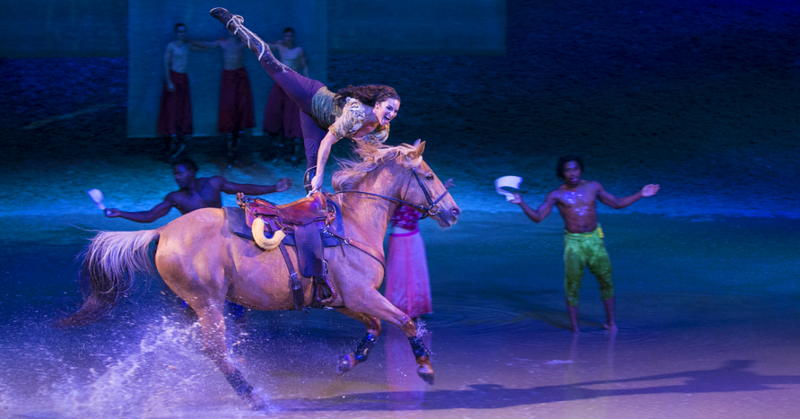 Why should you go see Cavalia Odysseo? Easy! 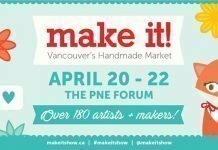 Here are the top 3 reasons you need to see this show before March 5th! Upon entering the Rendeveous Tent, you are greated with smiling faces who truly want to ensure that you have an amazing evening! With comfortable seating, a delicious and endless buffet, a desert intermission and with Everything Wine as a sponsor, you are well taken care of with a red, white, champagne and beer! Thankfully, we were given an early Valentine’s day out and my Mother in law agreed to watch the girls but had we needed to take them, I happy to see that they wanted to ensure the kids felt as welcome as their parents did! We were treated to a lovely VIP evening in the Rendevous tent which afforded us an incredible buffet of some of the finest foods, a quick dessert intermission between the 1st and second act, tour of the backstage where we learned that it takes them 14 days to set up and 4 days to tear down. It was incredible to stand on the same mountain that the horses once performed on. The Show is just incredible! This show is simply amazing, spectacular, exquisite and all things beautiful! With 65 horses and 45 acrobats making up the team behind the show. Their talent and passion radiate through their performance! Did I mention that incredible Big White Top? Odysseo’s White Big Top is the size of a CFL football field. The 1,626 square metres stage, larger than a hockey rink. With 15 meters wide, the backstage area offers a vast playground for more than 30 cantering horses. The projection screens add such a mesmerizing effect to this already spectacular show. This show is so well thought out. Every last detail even right down to the 350 costumes and 100 pairs of shoes and boots in the show. Artists may have up to seven different costumes with no more than 30 seconds for costume change before sets. Now through in the element of live music, it is a fully immersive experience. If the way the guests are treated is any indication of how the horses are treated, I can tell you those horses are ADORED! We had the pleasure of going backstage and meeting the team that takes care of the horses. Every single horse receives a nice hair brush and braid after every show which can take up to 45 minutes. The VIP Experience includes a tour of the barn, which again had me asking the hubby to buy me a pony. He remained firm in his NO. I’m still working on him! Did I mention that we actually stood on the Odyesso stage? Our feet stood on the exact stage that the horses and riders performed on, it was surreal to see the size of the stage and look back at the seats we were previously sitting in. My respect for their talent and passion grew ten fold. Did I mention that we actually stood on the Odyesso stage? Our feet stood on the exact stage that the horses and riders performed on. It was surreal to see the size of the stage and look back at our previous seats. My respect for their incredible talent and passion grew ten fold. A total of five tents comprise the Odysseo village. The White Big Top houses the stage and backstage, seating and lobby areas under a single roof. 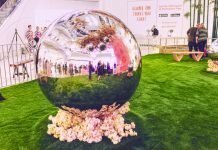 The Rendez-Vous tent hosts VIP ticket holders for dinner, an open bar and photo opportunities with the artists. This package includes a private tour of the stables and the best seats in the house. If you’d like to experience the full VIP treatment and save a little. Visit www.cavalia.com/live and use promo code SOCIAL you can get 15% off your ticket purchase. I leave you with one question, will YOU buy me a pony? 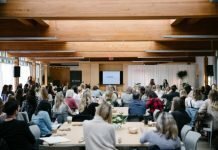 Previous articleMama Didn’t Raise No Bully – Free Printable Download!